By Leah Dobrinska. Sep 4, 2015. 9:00 AM. Collecting rare books is at once a hobby, a passion, and an art form. The process is filled with nuances, and there are perhaps as many ways to go about forming a collection as there are collectors. However, some universal truths are present in the book collecting world. Here, we’ve compiled a brief guide to help you along your collecting ways. Whether you’re just starting out or if you have been at it awhile, we hope what follows is helpful. And we hope you’ll share with us in the comments below what you’ve learned and the skills you’ve honed through your own personal collecting journey. What is a Rare Book Collection? Before we begin, it is only fair to note that there is a difference between a book collection and a personal library. Both are good and beautiful things, but they are different. Many of us have personal libraries in our homes: all those used books purchased for college courses, the stack of children’s books peppering the bottom shelf, how-to compendiums for the first-time homeowner, etc. In short, a personal library includes books we’ve acquired in numerous ways, and there’s often not a clear theme present. 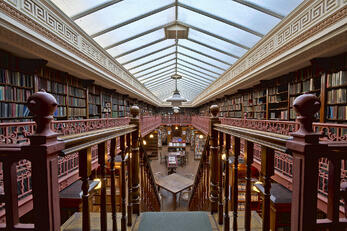 It is what it is — a library with many topics in its arsenal. A collection, on the other hand, is a focused attempt to amass a specific type of book, usually of a certain quality. So, now that we’ve identified the difference between a personal library and a book collection, we must also recognize that there are different types of book collections. Many collectors choose a topic of interest to them and base their collection on it. We’ve heard of collectors who focus on a particular sport, an event in history, a part of the country, etc. Keep in mind when you’re deciding on a topic-based collection that some topics are too broad to allow for a thorough and full accumulation of texts. World War II, for instance, may be of particular interest to you. Yet, collecting books on WWII without a more refined search criteria could leave you floundering. Instead, perhaps it would be better to focus on a particular author in the WWII era, or on a particular battle, or books out of a specific region written during or about the war. As we mentioned above, another way to go about focusing one’s collection is to pick an inspiring author and go after his or her works. 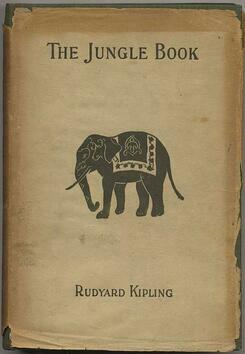 We’ve written about the challenge and reward of Rudyard Kipling, for example. He is just one of many authors who provide an outstanding outlet for book collecting enthusiasts. Think about who speaks to you through their work, and start there. 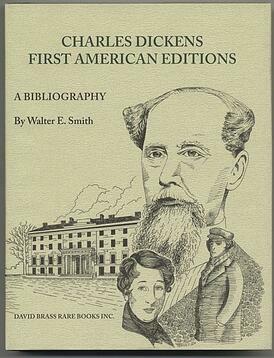 Keep in mind that collecting as a ‘completist,’ that is, aiming to collect every item from a single author (all of the works of Charles Dickens, for example), is an incredibly ambitious, expensive, and in some case, unfeasible endeavor. Rather than getting overwhelmed by the daunting nature of such a task, we’d recommend choosing a tighter focus within the category of your author of choice and going from there. If you’re not sure where to begin your collection, you can look to lists of award-winning books or authors (Pulitzer Prize winners, Nobel Prize winners, etc.) for some inspiration. Other collectors focus on aesthetic appeal when they are acquiring books. Some prefer to compile a collection of leather bound books. Franklin Library editions, for instance, include beautiful classic, leather-bound books. Because the books are broken down into series, there's also a type of framework to follow for collectors, which is appealing for those looking to amass a complete collection. Many Franklin Library editions have been signed by the author. They make for very aesthetically appealing collectibles. Another option for collecting books based on looks is to work to accumulate fine press editions. 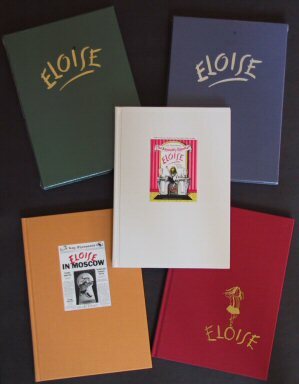 Fine press books often have truly unique stories behind their creation, making them not only items that look pretty on the shelf, but also inspirational pieces of craftsmanship. A fine press book is often printed by a small press in close collaboration with the author, thus limited quantities are usually available. This makes for a supremely interesting and usually incredibly visually appealing addition to one’s collection. Speaking of aesthetics, keep the importance of dust jackets in mind as you begin your collection. Finding books in their original dust jackets is a challenging and fascinating venture. Early dust jackets (pre-20th century) are incredibly unique and a major bonus to one’s collection. For modern first editions (most of the 20th century), acquiring a book with its original dust jacket in fine or near-fine condition will mean the difference between an incredibly valuable collectible and one that doesn’t hold much weight. Many early dust jackets were destroyed by the original owners who wanted to display the actual bindings of the books, which now means that dust jackets still in existence and in good shape are rare and valuable finds. The key to any book collection is a specific focus. One must outline her budget, her goals, and create a reasonable plan of attack. A narrower focus allows you to zero in on what’s important and build a truly rich collection of works that matter to you. That way, you’re not wasting funds and shelf space on books that don’t really suit the needs and purpose of your collection. Once you’ve decided on a type of collection (and you can most certainly have more than one! ), it’s time to start figuring out what kinds of books you’ll be looking to add to your shelves. It’s important to understand the terms of the trade as you sift through the many pools of rare books. You can look for collectible books at library book sales, rare book fairs, auctions, antiquarian book stores, online, or in your grandmother’s attic. Truly, the opportunities and avenues to starting a rare book collection (and building it!) are endless. Whatever route you choose, though, it’s helpful to know what different terms mean when you’re presented with a copy that may be of interest. We’ve compiled several glossaries of rare book terms and our rare books page to help you along. In many cases, serious book collectors are after first editions. As you are getting started, keep in mind that first edition/first impression (or first edition/first printing) is the real gem, whereas a first edition and a subsequent impression often wouldn’t be considered as appealing. It can still be valuable and a worthwhile purchase, but in most cases, you shouldn’t be paying as much for it. 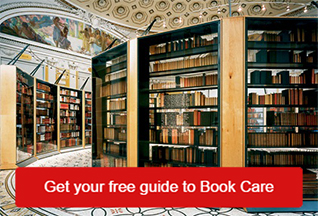 An essential tool to help you along your collecting way is a bibliography. Bibliographies exist for different authors or different collecting categories, and they chronicle imperative information regarding first edition ‘points’ so that a collector can identify and distinguish first impressions (first printings) from later impressions. A signed copy of a text you’ve been coveting makes a brilliant addition to one’s collection, as does a limited edition. Limited editions are printed, much like the title suggests, in limited quantities. Usually, they will be numbered, and once they are gone, they are gone. 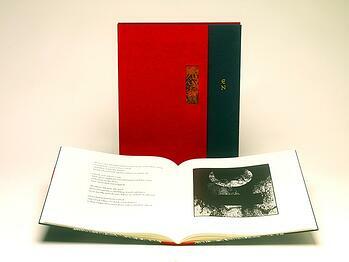 A limited edition book is different than say, a deluxe edition. Though they both may include extra features like illustrations or an author’s note, a deluxe edition is not necessarily printed in limited quantities, which again, affects its value. Once you’ve started to amass a collection, it can be exciting to try to add ephemera and other artifacts that are associated with your topic, author, or collection style. Playbills, advertisements, newspaper articles, letters, and a whole host of other options are often some of the most fun elements of any given collection. Individuals collect rare books for a variety of reasons. As we just mentioned, some are after it for the fun — the thrill of the chase and the satisfaction of nabbing a pristine copy. Book collectors will tell you theirs is one of the most enjoyable and rewarding hobbies. What’s better than a collection of books to serve as a conversation starter when guests arrive? Beyond that, though, a book collection is wonderful for posterity. Many collectors collect with future generations in mind. Whether their aim is to pass down their collection to family members or bequeath it to a community organization, book collectors often use the acquisition of their rare books to serve the greater good. Once you’ve started to compile a book collection, it’s important to take good care of it! You’ve worked hard, and you don’t want your collection to lose any of its value because it has been stored improperly. Remember when you’re choosing where to house your collection that storing books in a sunny library can lead to sunning. Likewise, exposure to humidity can lead to foxing. Many book collectors choose to store their dust jackets in protectors separate from the books themselves. That way, they get the benefit of looking at the book binding while also having access to the valuable dust jackets (and knowing that they are in a safe spot!). Keeping in mind that a collection is often prized for the sake of posterity, it makes sense to take good care of one's books not just so they maintain their material value, but also so they can be enjoyed for generations to come. In conclusion, our recommendations are to start small, with a manageable focus. Learn the terms of the book collectors world so you know what to look for, and what you’re paying for. Make sure you care for your books. And most importantly, enjoy the process and the fruits of your labor! Writer, editor, and lover of a good sentence, a happy ending, and the smell of books, both old and new. Enjoys reading children's lit to her daughters, home-improvement magazines with her husband, and Shakespeare by herself.